At 18moons, the goal is to have a Planet Kids token equal to about 10 cents worth of the cryptocurrency ether. Are Angelina Ballerina and Barney & Friends about to get run over by the bitcoin bulls? A Newton startup that makes online channels featuring popular children’s characters has a novel scheme for parents and producers: use digital currency to buy or sell programming on its platforms. The company, 18moons, plans to raise as much as $10 million in February amid the mania surrounding cryptocurrencies like bitcoin. 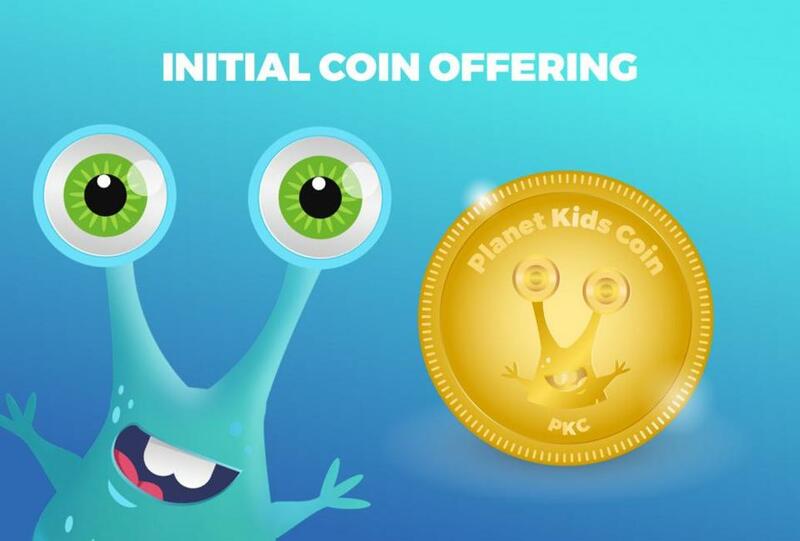 18moons will issue electronic tokens called Planet Kids Coins that will work like credits or vouchers with its viewers and vendors. Because they will be issued and tracked using the same blockchain technology behind bitcoin, 18moons executives said the tokens offer a more secure record of each transaction than plain old money. So-called initial coin offerings have largely relied on the enthusiasm of speculators looking for the next moonshot investment after the staggering run-up in bitcoin prices over the last several months. 18moons acknowledged it had the crypto enthusiast in mind when it set such a lofty fund-raising goal, but when it consulted some big cryptocurrency players about buying in, it found little interest. “Even though we need them, it’s not going to happen,” said company president Eduardo Mace. Perhaps it’s for the best, Mace added. 18moons is pushing forward with the ICO in the hopes that it will sell to people in the children’s programming business who are actually interested in its blockchain project. The tokens, after all, are designed to be used for 18moons programming, and not as investments, he said. But like many companies raising money through ICOs, 18moons is engaged in a dance between utility and speculation. It is trying to show that cryptocurrencies have a genuine business purpose promoting uses of blockchain technology and are not just an investment fad. Authors, illustrators, and animators will pay 18moons in Planet Kids Coins to submit their content, and then receive payment — again in tokens — from parents when their kids view their creations. The blockchain records every transaction, so there should be no disputes about viewing and billing. Though 18moons would appreciate having crypto-speculators help build the project, the tokens have to be used for their intended purpose: buying and selling children’s programming. Hundreds of companies have collectively raised several billion dollars through so-called initial coin offerings, but many of the currencies are used only as a speculative investment, rather than for a business activity. An analysis by the Token Report in October found just 19 of 226 offerings that it studied were used as tools or payments for the issuers’ services. In many cases, the funded projects had not been launched yet. Such findings fuel suspicions that companies are selling digital currencies for projects that are a poor use of blockchain technology, but can’t get money from conventional sources. Regardless, buying into any early stage project involves some element of speculation, said Christian Catalini, an MIT professor who studies the economics of cryptocurrencies. Even customers using tokens for real business transactions risk losing money if the company fails. And because cryptocurrencies are mostly unregulated, speculators and buyers alike can find themselves at the mercy of unproven entrepreneurs and scam artists. “When you invest in these things, you need to be careful, because it’s very speculative, and it’s kind of like gambling,” Catalini said. Duane Mayo, chief financial officer for 18moons, said his company already has a big built-in audience for its products, with 1.5 million monthly active users, largely in Latin America. The company acknowledged it does not have any US revenue from the service that will use the blockchain, which made it hard to attract traditional funding. Talla, a Boston startup using artificial intelligence to develop “chatbots” for HR and other business functions, is taking a different approach—selling tokens to traditional investors such as venture capitalists. Only later will it consider a public sale. The company wants to attract up to $15 million to support a blockchain project to track the activity of chatbots made by Talla and other companies, said chief executive Rob May. Users will pay for the service in tokens, which he likens to a product activation code that comes with new software. May said blockchain technology will become a key feature of recording the use and growth of chatbots as they proliferate across the business world. Companies have to be more careful in how they talk about ICOs, as regulators are closely watching whether they are in fact investments that should come under their oversight. Though the US Securities and Exchange Commission has not made a broad declaration about digital currencies issued through ICOs, it declared that a few offerings were securities that should be regulated. The SEC has halted one ICO, for instance, and censured the organization behind a second. It sued the backers of another offering in December, arguing the entire project was a scam. Massachusetts Secretary of State William F. Galvin, whose office regulates securities, has harshly criticized ICOs that are being presented as investment opportunities. He said his office will closely review any tokens issued in Massachusetts. Internationally, the rules are just as confusing. Some countries, including China, have banned ICOs altogether. Others, such as the Cayman Islands, are plainly allowing them. For now, most new tokens are introduced by their issuers with a short “white paper” describing how the blockchain project behind them will be set up, and how the tokens will be used. These informal documents are generally much less detailed than the exhaustive prospectuses prepared by companies making public offerings of stock. And the currencies they cover are not backed by anything other than a company’s word. Speculators can boost the sales of ICOs, helping companies reach their financial goals and broadening the market beyond initial users. And for some companies who hold onto a reserve of coins or plan to sell more, the increasing value can be a financial windfall. But it can also undermine the very projects the tokens are supposed to fund, if more buyers are more likely to trade them with other speculators, or hold them in hopes of a long-term run-up. At 18moons, the initial price of its tokens will be linked to the value of another digital currency — ether, a popular rival to bitcoin; the goal is to have Planet Kids token equal about 10 cents worth of ether. The company plans to issue 100 million tokens, but keep 25 million in reserve, releasing them to either reward regular customers of its programmer platform, or to stabilize the price. Parents can also buy programming using US dollars, and the company will convert those purchases into tokens. But it expects many content creators to buy Planet Kids Coins during the ICO. Tokens they receive in payment for their programming can be redeemed on the exchanges that trade Planet Kids coins, at prevailing prices. Importantly, the company said it would be prepared to adjust the prices of its programming platform if the value of the tokens swings wildly, to keep it affordable for customers and content makers. “We’re not going to be held ransom by the coins,” Mace said. can be reached at andrew.rosen@globe.com. Follow him on Twitter @andyrosen.